First established as Computer Unit of Academic Division, Universiti Pertanian Malaysia on 1 Februari 1975. On 1982 - 1998, it have been upgraded to Computer Centre and was lead by 4 former Directors namely: Ir. Yusuf bin Ibrahim, Dr. Abdul Rahman bin Bidin, Ir. Isa bin Mansor dan Dr. Abdul Azim bin Abdul Ghani. After the formation of the Faculty of Computer Science and Information Technology, the entity's function was reduced and renamed as the Division of Information Technology, headed by Mr. Rosmi bin Othman on the year of 1998. The merger of the Institute of Multimedia and Software (IMP) with the Division of Information Technology formed the Computer Interim Centre with Dr. Suhaimi Napis leading the administration. The Computer Interim Centre (PIK) was transformed to the InfoComm Development Centre (iDEC) in line with rapid extension and development of ICT in the new era. iDEC was restructured which lead to the centralisation of ICT staff and services in UPM. 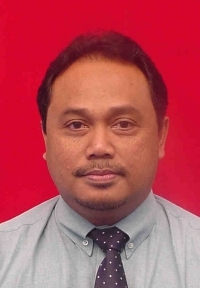 Dr. Khairulmizam Shamsudin, a lecturer from the Faculty of Engineering UPM was appointed to lead the Infocomm Development Centre (iDEC) from 1st of July 2012 to 31st August 2014. Infocomm Development Centre (iDEC) has been lead by Assoc. Prof. Dr. Fatimah Sidi, who is former Computer Centre staff and is a lecturer at the Faculty of Computer Science and Information Technology UPM. She has taken over the management of iDEC from 1st of September 2014 to the present.